So, I don’t normally plan on writing about sports on this blog, but there was a recent development in the NBA that I want to give some thoughts about. Some of you may or may not know, I am a HUGE San Antonio Spurs fan. Ever since the David Robinson era, I have loved and appreciated how the organization operates and the type of players that they have. Basically, I follow the NBA…devotedly. However, we are not talking about the Spurs, we are talking about the New York Knicks. Why? Because New York has been struggling in the beginning of the shortened season and their best players started to get injured and then it just went downhill from there. It almost seemed that this possible playoff contender is going to go to the lottery this year…and then, the coach decided to try someone new on the bench, a Taiwanese American second year player who has been warming up the bench to play huge minutes. This player was Jeremy Lin. This kid has been sitting on the bench last year and this year, and then on February 4th, he went from bench warmer to superstar. And this is not just 1 game, he turned around the direction of the team and helped the team to get back to .500 for their record, carrying the entire team for the next few games. 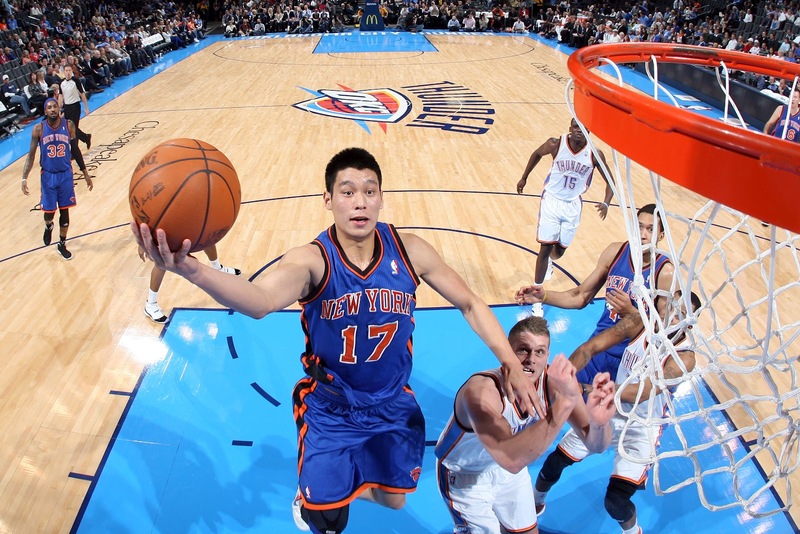 People call him Linsanity. Look at the minutes, points and assists, and the wins and losses. Their record from December to January: 7-13. Record since Jeremy played more than 20 minutes? 9-3. Look at the scoring, the assists, and the steals. This is how big of a deal this guy is, and everyone, including opposing teams are rooting for him. To add to that, he said in an interview that if he is not playing basketball, he would be a pastor. So this guy seems like the real deal. We have every reason to support this guy. It’s a great story; he is a team player; he supports his teammates; he’s strong in the faith. However, there is some concern about this kid. There have been reports by a former training coach who said that he is cocky. Now this could mean that he is confident, but it could also mean that he is prideful. So far, I would say the former is true, but we also know what fame can do to a person. The concern is that the attention, the media, and the fame can cause him to be more prideful of himself, rather than continually thanking God. It could go the other way around and he continues to be thankful to God, but these temptations can lead him astray. Also, with all the media and attention that he is getting, people are watching his every move. When he lost his first game since he got off the bench, there have been many reports that the “Linsanity” has ended just because they had 1 loss, but he has proved them wrong for his performance in the next few games. I’m not concerned about his public appearance as a winner, but if he does anything that gives Christianity a bad name, EVERYONE will be watching. If he sins in public or acts inappropriately due to any circumstances, everyone will attribute his shortcomings to Christianity. Finally, no one can know for sure if he is genuine or not. Of course, this might be overreacting and we can see him bearing fruit. However, what happens if he suddenly decides to drop the faith, or become a hypocritical person? What would that mean for Christians? What does it say for us as a group? Would it attribute all of us to be fakers (even though that is not a logic argument)? So what should we do as Christians? We should continue to pray for this guy. The nation and the world is watching this guy and we need to pray that God would keep his faith strong and to be the light to the rest of the world. He is in a place where God wants him to be, but there will be challenges, obstacles, and temptations up ahead. We need to pray that Jeremy will not fall from the faith and that he would be a great example to the world about what it means to be a Christ Follower. God is in control and He will use Jeremy for His purposes.